For local shuttle services and trips for small groups, the 20-passenger minibus is an excellent option. Though it has a compact design, this bus is equipped with ample space for passengers and personal belongings. Charlotte Charter Bus Company is dedicated to making your trip comfortable and memorable. 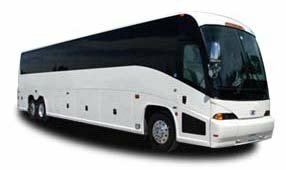 Let Charlotte Charter Bus Company handle all of your bus transportation for corporate events, weddings, sports tournaments, school field trips, and more. We’re here 24/7 at 704-302-1258​ to gather details about your upcoming trip and provide you with a personalized quote in minutes!